Landed and being played in. FINALLY something to fill the hole the Sonus Faber Amati's left. Now here is a speaker that runs rings around any speaker below R400k... Even the Mighty B&W 800D. It competes with Kharma, Wilsom Sasha, New 800D3, Revel Ultima Salon. The fun ? You can pick and change the colors a little. Go more gloss than Matt, Cream instead of Black. Im Sure they will make you a RED one if asked nicely. would be a shame to paint that wooden horn. I know the question will be asked: R185k. Congratulations Francois on the successful importation of this brand. 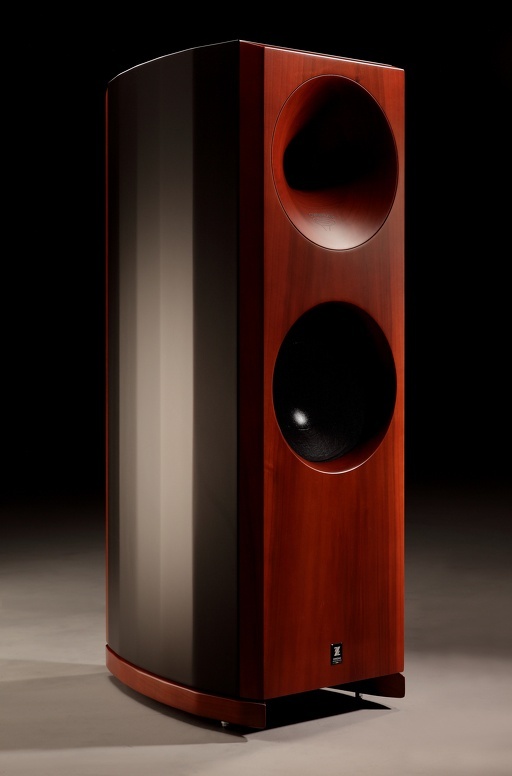 These speakers ooze great Italian style and deserve some great quality amplification .. try Leben or Allnic? When you have the time give us your review feedback. They sound sublime. 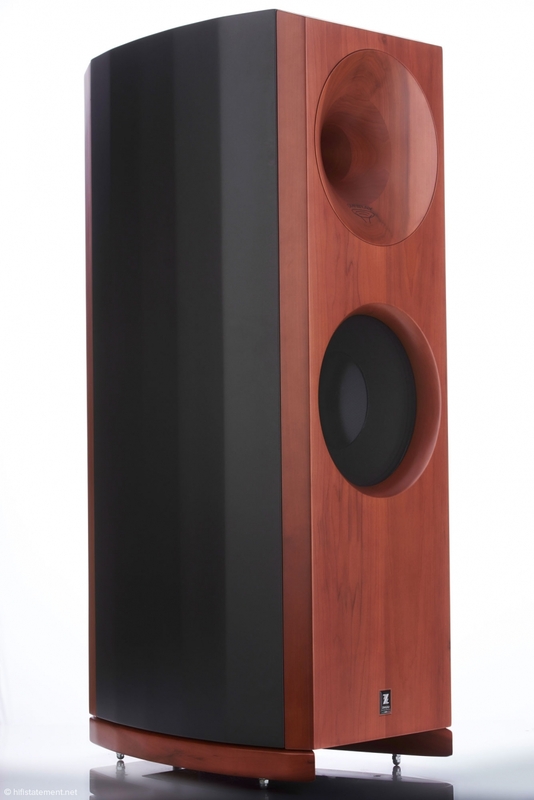 A mix between Avant-garde and Sonus Faber. Doesn’t need lots of power and reveals everything. It’s not an “intimate” speaker. Tad of Tannoy in there. A very good speaker with lots of potential, a bit of playing around with position, might work very nicely corner loaded; the port down fires, get it off the carpet on a plinth. In my opinion they need an amp with a bit of power speed and punch. Very good imaging, and they certainly can disappear. Very good wide sound stage. Compression driver needs a bit more time to break in. This is a very good horn speaker, why because it does not sound like a horn speaker, bet if you covered them most would not guess it was a horn. Yet it has all the dynamics and the live performance real music type of sound that a good horn can do like no other. Not analytical or fatiguing. Spent over three hours today listening to them. Came away very impressed, I was not jumping tracks, but listening to the music; always a good indication to me at least that a speaker is good. Very well made and finished, and in my opinion a lot better sounding to me at least, than some hyped up speakers I have heard at two to three times the price. They are two ways, I have always preferred a two way speaker as I am very sensitive to how a speaker integrates, this is not a problem with a good two way. They get a big up from me, and I am very hard to please. This is a no bull speaker, they just play great music. 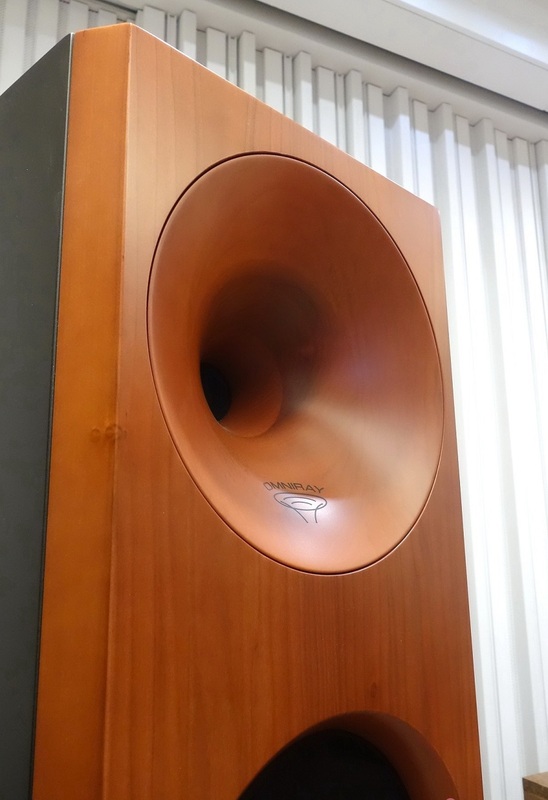 Everything sounded good; nothing can play a wind instrument like good a horn speaker, these certainly fit the bill. Cant wait to hear them in Francios sound room when completed. Thanks again Francios for letting me play with all your all kit; I had a great time getting lost in the music, and that is the whole point is it not. Had a listen to these yesterday and I was thoroughly impressed and entertained. They were hooked up to the Perreaux 350 and the Ming Da Pre. I felt like I was close to the stage of the performers. Incredible how low they go too. And they are good lookers to boot. Would also love to hear them on a powerful valve amp. Lots of positives there guys, they certainly look the part! I am looking froward to listening to them when I visit in January. I have played these now on amps ranging from 20W to 400W. My goodness they now quickly became my reference speaker.Still startles listeners. People that have never heard a proper horn sits back in surprise. I got a chance to listen to the baby bookshelf speakers a few weeks back and was completely blown away. That bookshelf will give many floorstanders a run for their money.